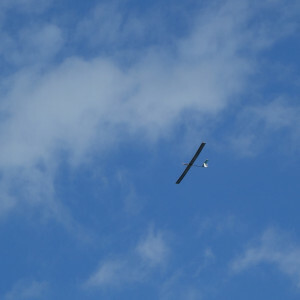 Solar-powered 81-hours flight successful: A new endurance world record! 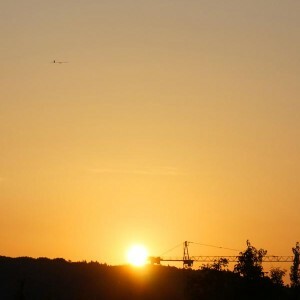 Two weeks after having demonstrated AtlantikSolar’s first 24-hour flight , the fixed-wing team of ETH Zurich’s Autonomous Systems Lab has reached another milestone: A continuous flight of its 6.8kg AtlantikSolar Unmanned Aerial Vehicle that spanned a total of 2338km and 81.5 hours (4 days and 3 nights) and has broken the flight endurance world record in its class. See the video below for an illustrative overview of that flight test. sets a new world record for the longest ever demonstrated continuous flight of all aircrafts below 50kg total mass, and is also the longest-ever continuous flight of a low-altitude long-endurance (LALE) aircraft (the previous record being a 48-hour flight by the 13kg SoLong UAV ). is the fifth-longest flight ever demonstrated by any aircraft (both manned and unmanned). In addition, the flight is a first important milestone to verify the UAV’s ability to stay airborne for multiple days while providing telecommunication services in large-scale disaster-scenarios or live-imagery during industrial sensing and inspection missions. 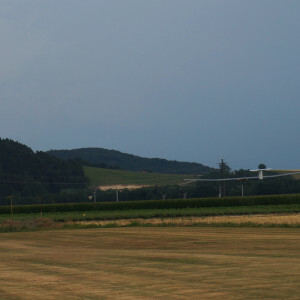 The flight was performed at the Rafz, Switzerland, RC-model club airfield from July 14th-17th, of which the first three days provided very good sun conditions. 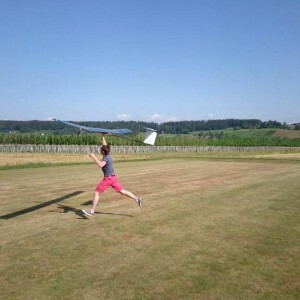 Take-off was performed via hand-launch at 09:32 on July 14th, and after 2338km and 81.5 hours – 4 days and 3 nights – of flight, the aircraft landed safely and with fully charged batteries at 18:56 on July 17th. The fully charged batteries would in theory have enabled to continue the flight through the night again. With the exception of take off, the aircraft was in fully-autonomous operation 98% of the time, and less than 2% in autopilot-assisted mode via its Pixhawk autopilot. The long-endurance flight provided very helpful insights on flight performance: The average level-flight power consumption in calm conditions (e.g. during night) was shown to lie in between 35-46W. Maximum power input throuh the 88 SunPower E60 cells during the day was around 260W. With this performance data, the aircraft managed to achieve fully-charged batteries (100% SoC) at around 13:05 local time, and thus even before the time of maximum solar radiation (solar noon, occuring around 13:30). After flying through each of the three nights, the aircraft on average reached a minimum state of charge of 35% at around 07:45 local time and thus still shows sufficient energetic safety margins for worse environmental conditions (such as longer nights, cloud cover or winds). The flight also subjected the aircraft to a wide range of environmental conditions. Among them were thermal updrafts during the first evening/night (causing a remaining state of charge of 40% ), and downdrafts during the second night (remaining state of charge 32%). The last hours of the flight were marked by upcoming thunderstorm clouds and the strongest winds – up to 60 km/h – the aircraft was ever subjected to. Although the ground station was partially damaged by the winds, the airplane could be landed safely in autopilot assisted mode when the winds had calmed down a bit. 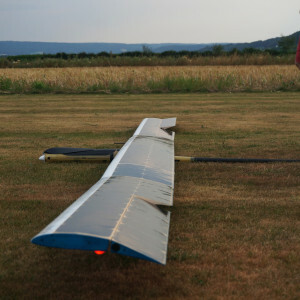 Having demonstrated the multi-day endurance capability of the bare UAV platform, the AtlantikSolar UAV project will now focus on extended endurance flights with payloads including optical and infrared cameras as well as atmospheric sensors. These payloads will also be carried during a long-endurance and long-distance mission of more than 12 hours and 400km that is planned for later this year in the Brazilian rain forest. T=8 hours, monitoring the aircraft and its energy generation and storage system. Batteries are fully charged here. T=36 hours, flying towards the night. Will we make it? T=41 hours. 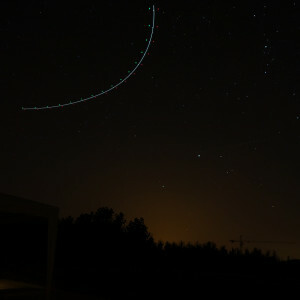 Drawing circles into the night using the onboard position indicator lights. T=70 hours, sunrise on the third and last day. T=81 hours, thunderstorm clouds and winds up to 60 km/h make the landing very challenging. T=81.5 hours. A happy team after a 81.5 hours record flight. This research was funded through ETH Zurich’s internal resources, private supporters, and the European Union FP7 Search-And-Rescue research projects ICARUS and SHERPA . In addition, multiple project partners and collaborators have contributed towards making this important milestone possible, and we’d like to thank all of them for their various and ongoing support. Finally, we are grateful towards the Rafz model aeroplane club for providing the airfield and the Aero Club Asas da Planície (Portugal) for providing the backup airfield! Pilots: Rainer Lotz, Adrian Eggenberger, Philipp Oettershagen, Bartosz Wawrzacz. Development and Operations Team (Autonomous Systems Lab): Philipp Oettershagen, Rainer Lotz, Amir Melzer, Thomas Mantel, Bartosz Wawrzacz, Konrad Rudin, Thomas Stastny, Raphael Schranz, Jan Steger, Lukas Wirth, Dieter Siebenmann, Dr. Stefan Leutenegger, Dr. Kostas Alexis, Prof. Dr. Roland Siegwart. 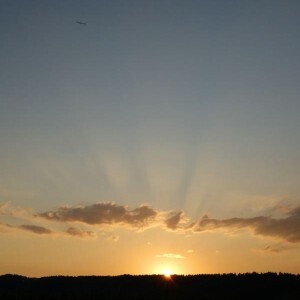 This entry was posted in Flight Testing, General by philipoe. Bookmark the permalink. 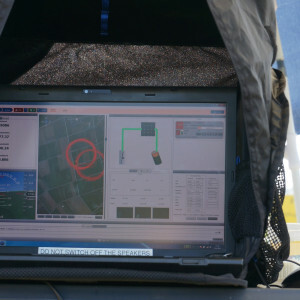 Curious: what commercial applications do you think your UAV will fill best, when done? First of all, I would like to congratulate you for your amazing achievement with 81 hours non-stop flight using UAV. My name is Irendra Radjawali, currently I am a researcher at the Institute for Oriental and Asian Studies, Bonn University, Germany. My research focuses on the political ecology analysis of Kapuas River in Borneo. However, since two years ago, I started to developed a diy drones (learning from amazing people like you at http://www.diydrones.com) to support the participatory mapping, especially to support the customary and community forest mapping, as well as community-managed land. The main aim is to curb massive deforestation. I try to establish what we call “community drones” in which local and indigenous community members are actively involved in operating the UAV to map the forest. I had in mind about solar powered UAV, but as this is not my expertise and I am with very limited funding, It is just a dream for me. Until your amazing works come out. I will have a chance to visit Switzerland for a conference on drones and its use for humanitarian. I am wondering if it is possible that I might visit you and have a little discussion with you ? Thank you. The conference will be from the 27th-28th August at Neuchatel. I can come over your institute should it be possible. Thank you very much for your amazing efforts, time and attention. Looking forward to hearing from you.